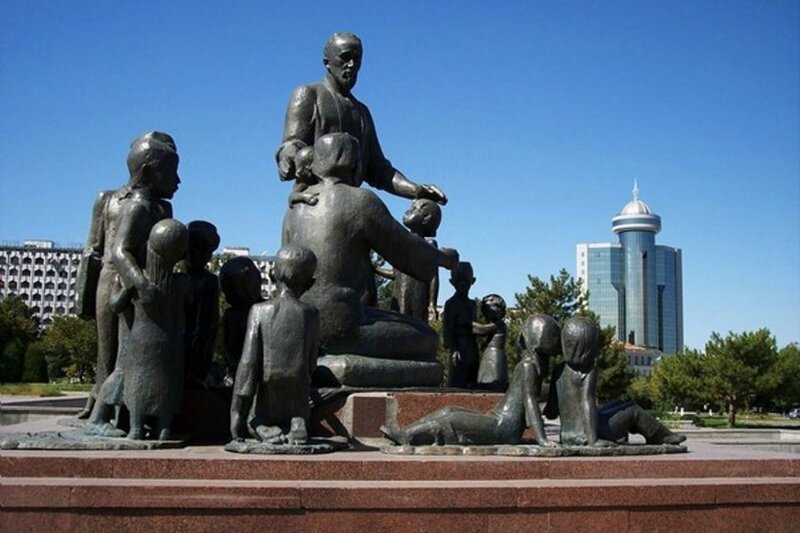 Tashkent authorities have announced this monument will be reinstalled in its original location at Istikol Palace (formerly the People's Friendship Concert Hall). The installation will be complete by 9 May 2018. 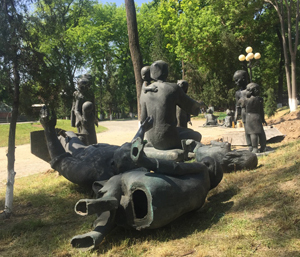 One of the city's symbols - the monument to the blacksmith Shaakhmed Shamakhmudov and his wife Bahri Akramova, who adopted 15 children of various nationalities during WWII - has returned to downtown Tashkent, where it truly belongs. The generosity of Tashkent residents is legendary - it has long been known as "the city of bread". During the Great Patriotic War, more than one million evacuees, including more than 200,000 children who had lost their parents, were moved to Uzbekistan. Every day, between 200 and 400 orphans arrived at Tashkent railway station. The original monument honouring the Shamakhmudov family. 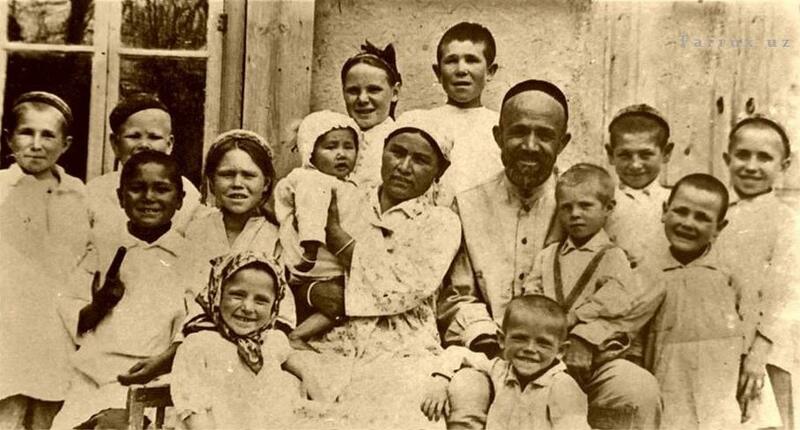 Spurred by a mass movement of Tashkent women, thousands of families followed the example of the Shamakhmudovs, sheltering Russian, Belorussians, Moldavians, Ukrainians, Latvians, Kazakhs, Tatars etc. and adopted children, many of whom did not remember anything about themselves. Their ages were often determined by a doctor, and the children's names were often give by the new parents. In 1982 the monument was created by sculptor Dmitry Ryabichev and installed in the square in front of the People's Friendship Concert Hall. It became a symbol of the humanism of Uzbek people and was a source of immense pride. However, in 2008, it was mysteriously moved to the outskirts of the city, much to the shock and disappointment of Tashkent residents. The name Shamakhmudov was famous throughout the Soviet Union. The parents were awarded the Order of the Badge of Honour and Bahri Akramova was also awarded the title of Mother Heroine. The Shamakhmudovs were prototypes of the protagonists of the novel "The Nobility of Man"("Его величество человек") by Rahmat Fayzi. The feature film "You are not an Orphan", directed by Shukhrat Abbasov, also told the tale of the blacksmith and his family. This film won the best script prize at the 1964 Leningrad film festival. A street in Tashkent is named after the family. During April 2017, the monument was transported piece by piece to Babur Park, recently renamed as Friendship Park, and installed next to the Peace Bell. It was officially opened on 1 May.